Pertaining to a structure: a conversation in six parts – Works from the UBC Rare Books and Special Collections and the Artists’ Books Collection at Emily Carr University Library will be on display on level 2 of the Irving k. Barber Learning Centre from November 2-30, 2015. The exhibit is curated by Beth Howe and Larissa Beringer. 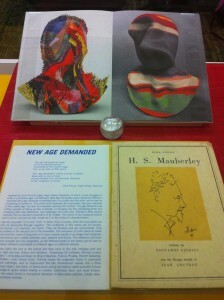 The Artists’ Book collection encompasses books crafted, published, produced or altered by an artist or artist collective. In addition to self-published artists’ books, the collection also includes limited editions resulting from collaborations with art organizations, artists’ books from both independent and mainstream press, and a growing collection of artists’ audio works. Emily Carr University (ECU) also currently collects contemporary, limited edition print publications that exemplify the international collaboration occurring between designers, typographers, visual artists, poets, writers + curators and publishers. The collection is international in scope with an emphasis on the 1960s to present. This exhibition aims to generate a conversation between books from two institutional collections. 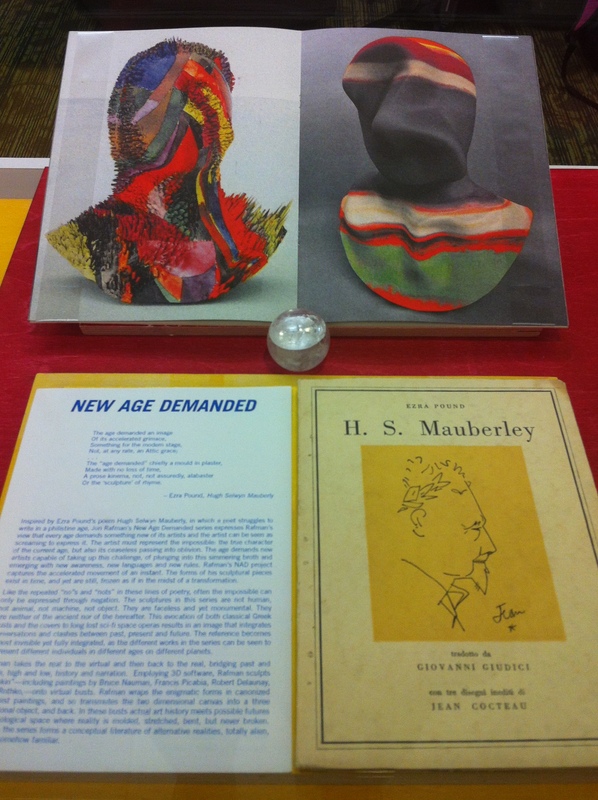 The show has been curated by a visual arts faculty member and an art librarian who regularly teach with these collections, using them to illustrate interdisciplinary practices, the history of the artists’ books, graphic design, form, print history, materiality, and diverse publishing practices. The six conversations organize categorically around intuitive themes and create a visual and conceptual narrative between artists’ books selected from the collection at Emily Carr University Library with works selected from UBC’s Rare Books and Special Collection. Each arrangement acknowledges mutual affinities such as literary source, design, and color. Ulises Carrion, Clive Phillpot & Cornelia Lauf, and Lawrence Weiner are key figures invested in the discourse around artists’ books and each has addressed structure as a central element in the consideration of book work. Conceptual artist and publisher Ulises Carrion writes “To understand something is to understand the structure of which it is a part and/or the elements forming the structure that that something is.” The properties of structure became a guiding factor across the practices of many conceptual, avant-garde artists already exploring the role of text, language and form in their practices. The exploration of structure in relation to form, typography, graphic layout, materiality and image-making spans across all genres of artists’ books and other print publications dedicated to emmeshing the materiality (form) with the information (idea). Librarian Phillpot and art historian Lauf build a system for categorizing artist books based on on what they term ‘genre’, like albums and inventories or reproductions and sketchbooks. Artist Lawrence Weiner – whose publication of the same name is the title of this exhibit – is particularly invested in the structure of language as material for making sculpture. 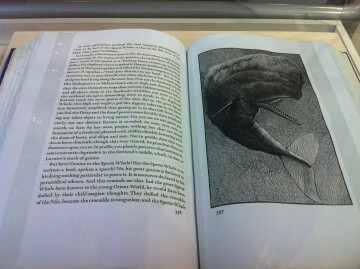 As the Guggenheim catalog descriptions for his works states, the works’ medium is ‘language + the material referred to’. Pertaining to a Structure starts six conversations between original works and their references within contemporary artists’ publications around the following associative themes: Typographical Territory; Notes and Correspondence; Livre d’Artiste; The Naturalist; Minimalism, Conceptualism, and Modernist Utopias; and Literary Hybrids.  The Emily Carr University’s Artists’ Book collection is a part of the library’s non-circulating, Special Collections and items must be requested for viewing in library only. 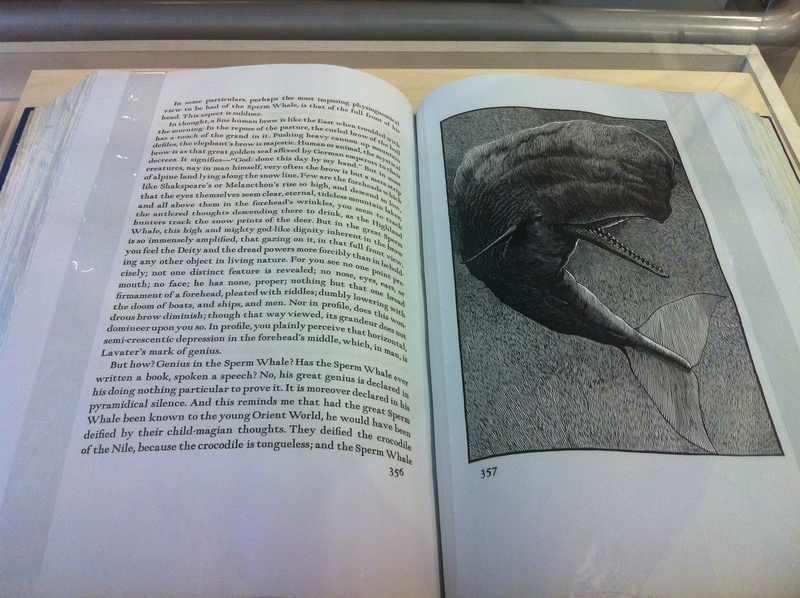 The books are fully catalogued and searchable in the catalogue with the by doing a subject search for “artists’ books”. Here are some other ways to browse this collection.